Atelier Mÿm notebooks will be at this year's souk @ sat. 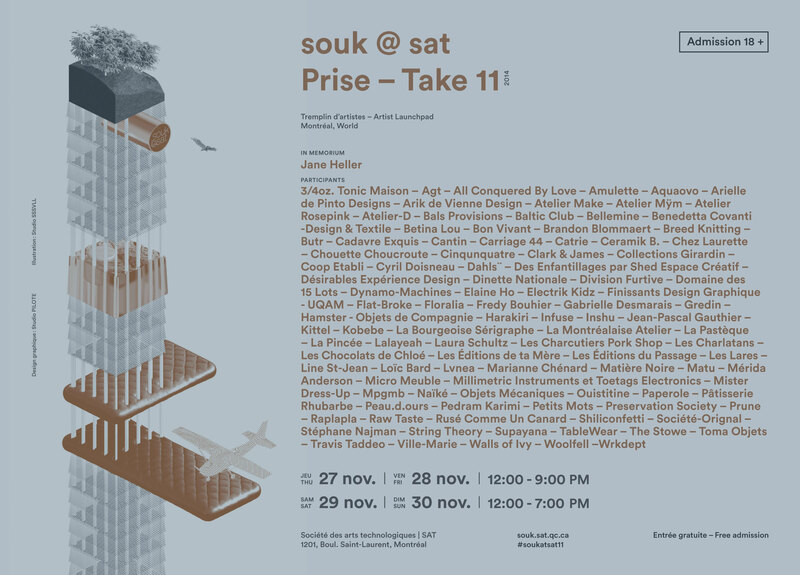 Atelier Mÿm’s notebooks will be showcased at this year’s souk @ sat. Come say hi, have a drink and shop pretty things. JEU | THUR 27 NOV.
VEN | FRI 28 NOV.
SAM | SAT 29 NOV.
DIM | SUN 30 NOV.